Looking for a way to save money on energy costs? A new thermostat might just help. But it’s really not that hard, and it’s definitely worth doing because it can save at least 10% a year on heating and cooling costs. The U.S. Department of Energy says you can achieve that 10% by turning your thermostat back 7 to 10 degrees F from it’s normal setting for 8 hours a day. The first step is to pick the thermostat that best suits your scheduling needs so you can “set it and forget it,” an approach the Energy Department advocates to get the most savings. 7-day programming. Best for individuals or families with erratic schedules, since this is the most flexible option. It lets you program a different heating/cooling schedule for each day of the week. 5-1-1 programming. One heating/cooling schedule for the week, plus you can schedule a different heating/cooling plan for Saturday and Sunday. 5-2 programming. Same as 5-1-1 programming, except Saturday and Sunday will have the same heating/cooling plan. 1-week programming. You can only set one heating/cooling plan that will be repeated daily for the entire week. Lower at least 10 degrees for the hours you’re asleep or out of the house. Program it to be warmer than usual when you’re out of the house. The Nest Learning Thermostat: It creates a custom heating and cooling schedule for your home based on motion detection technology. Plus since it is Wi-Fi, it can be controlled remotely. Price: Usually a bit more than $200. 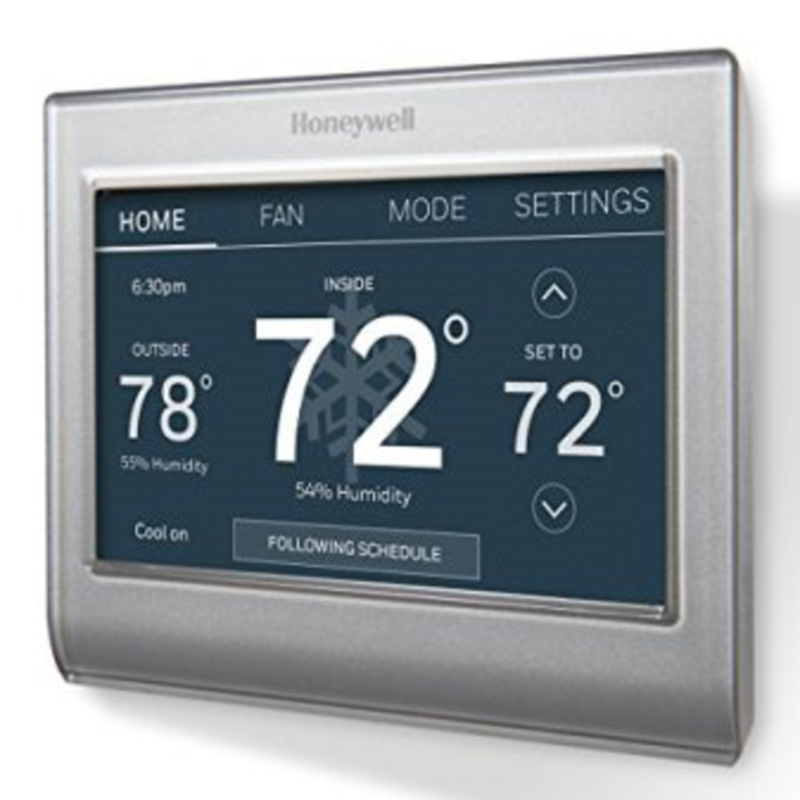 Honeywell Wi-Fi Smart Thermostat: This device makes it easy to create a custom heating and cooling plan. Unlike conventional programmable thermostats, it has a large color interface that displays a simple menu that walks you through all the programming steps. It also “learns” your home and will send you personal notifications if the temperature is not right, or if there’s a power outage. Price: Usually under $200.